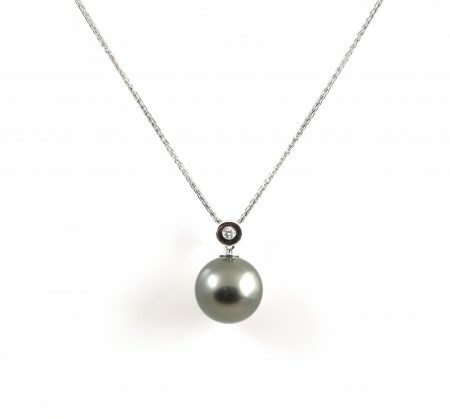 An 18K white gold Tahitian South Sea pearl and diamond pendant. Featuring one round brilliant cut diamond set in a bezel and cup setting with an 11mm Tahitian South Sea pearl. Looking for a matching Tahitian piece? Click here to view our full collection of Tahitian pearls.